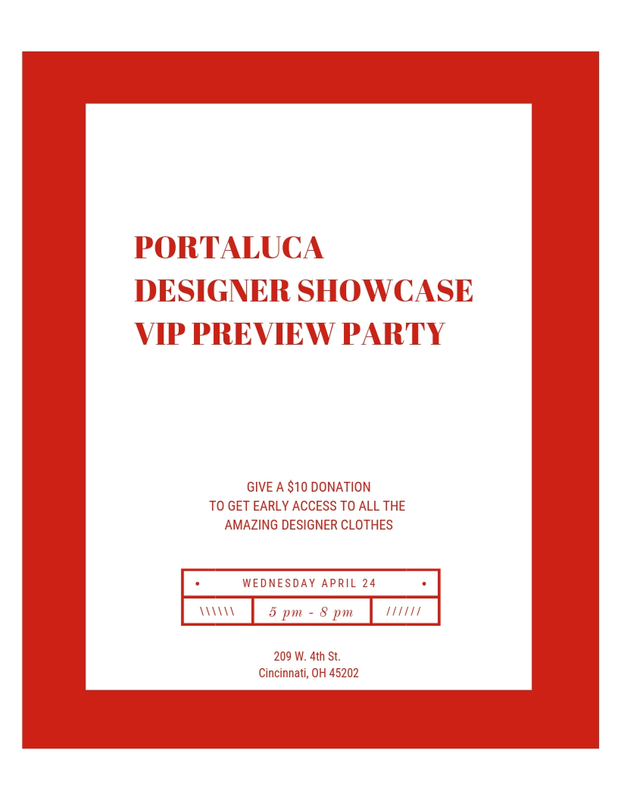 Join us on April 24 at 5 pm to get an early look at all the amazing designer pieces. Enjoy drinks, lite bites, and great prices on great designer fashions while empowering women. Stylists will be on hand with tons of style advice. $10 donation at the door. All proceeds benefit Dress for Success Cincinnati. Portaluca is located at 209 W 4th Street in Cincinnati. Learn more at Portaluca.org. 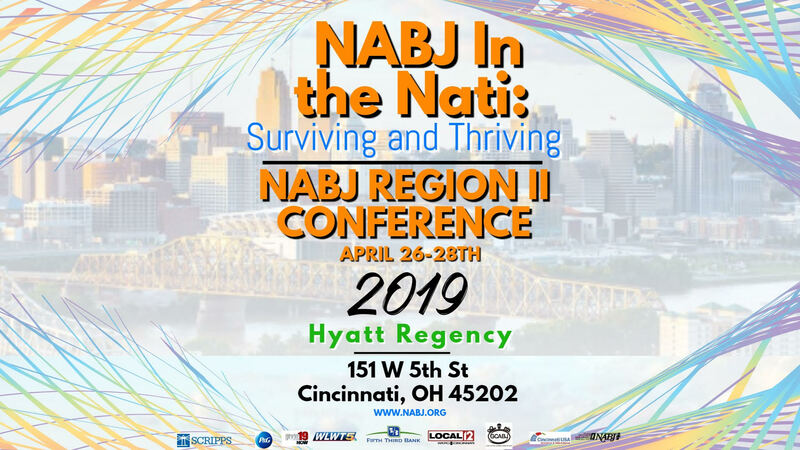 Join NABJ in the Nati: Surviving and Thriving for the NABJ Region II Conference April 26-28 at the Hyatt Regency. The Jazz Brunch on April 28. This conference will feature Jamilah Lemieux and is a fundraising scholarship for the Greater Cincinnati Association of Black Journalists Everett Cork Memorial Scholarship Fund. 30apr12:00 pm- 1:00 pmLunch 'n' Learn: Body. Brain. Biome. Lunch ‘n’ Learn: Body. Brain. Biome. 1may5:00 pm- 8:00 pmKendra Gives Back Party! 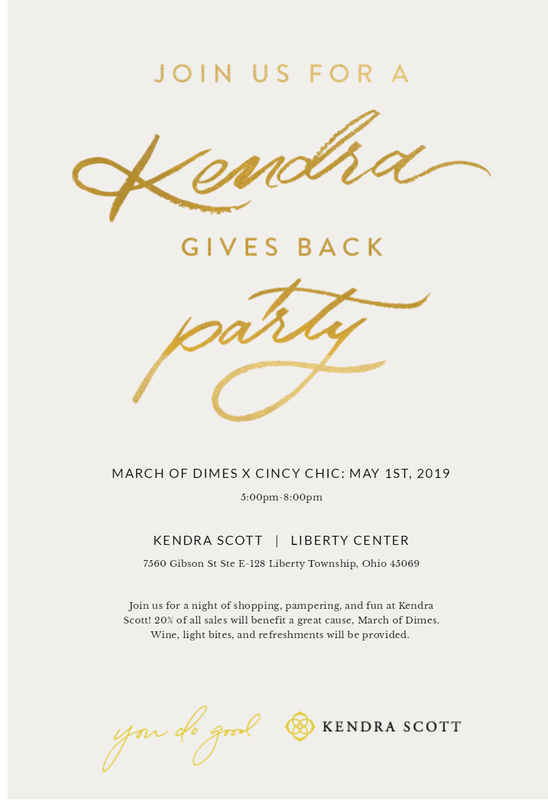 March of Dimes X Cincy Chic are teaming up for a Kendra Gives Back Party on May 1 at Kendra Scott Liberty Center from 5-8 pm. Join us for a night of shopping, pampering, and fun at Kendra Scott! 20% of all sales will benefit a great cause, March of Dimes. Enjoy wine, light bites, and refreshments. 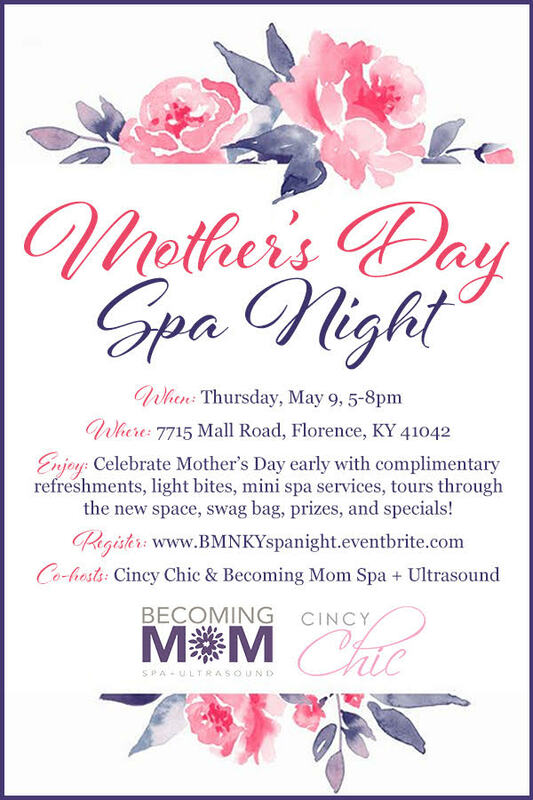 Enjoy: Celebrate Mother’s Day early with complimentary refreshments, light bites, mini spa services, tours through the new space, swag bag, prizes, and specials! Enjoy: Ladies! Join us for a FREE, fun and informative event that’s all about helping you live your best life! 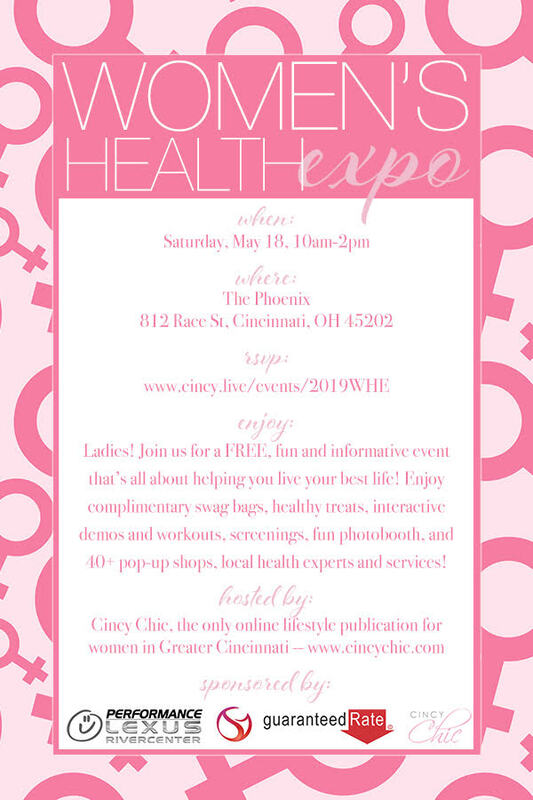 Enjoy complimentary swag bags, healthy treats, interactive demos and workouts, screenings, fun photobooth, and 40+ pop-up shops, local health experts and services! Table Sponsors: Vein Clinics of America, Pure Barre Cincinnati West, Becoming Mom Spa + Ultrasound, Curious Concoctions, BeneYou Katie Kramer, Ever Skincare with Leslie Young, HempWorx Becky Wagers, Pink Ribbon Girls, Renewal by Andersen, Stella & Dot with Alice, Pure Romance with Nikki, Mary Kay with Leslie Raise and Amber Nichols, Slate & Vine, Lipsense Suzanne Goodpaster, Beautycounter with Kate Flaig, Paparazzi by Anna Forte, Juice Plus with Jaime Hatley, Champion Windows, Beacon Orthopaedics & Sports Medicine, Ovarian Cancer Alliance of Greater Cincinnati, Peaceful Bodies and Bellies, Trilogy Fitness Systems, Burn Boot Camp, Apex Chiropractic, The Beauty Boost, Chelsea’s Choice Styling, Jazzercise Norwood, It Works with Sam Platt, The Wellness Lounge, Staunton Primary Care, HIME Wellness, Allergy & Asthma Network, Persist Fitness, BirthFit Cincinnati East, Elevate MD, XYNGULAR with Susan Giebler, Rebecca Dean, Absolute Kinetics Physical Therapy, Bright Health​​ + many more!